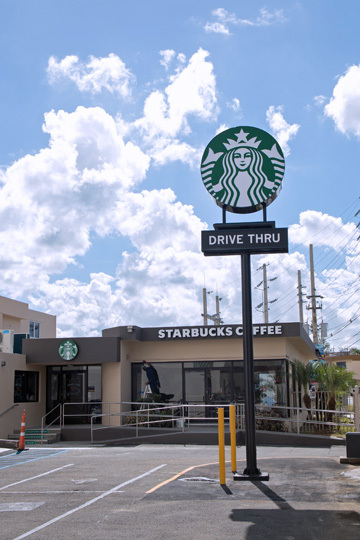 Starbucks has opened its 25th store on the Island at the Metropolitan University campus of the Ana G. Méndez University System in San Juan – its first new location since Hurricane Maria forced widespread store closures in September. Starbucks Puerto Rico recently celebrated the opening of its 25th location on the island, a new café on the Metropolitan University (UMET) campus in Cupey, which is part of the Ana G. Méndez University System. It is the first Starbucks store to open since Hurricane María struck Puerto Rico in September, destroying homes, damaging the island’s critical infrastructure, and taking innocent lives. As the long road to rebuilding continues, leaders from both Starbucks and the company’s local business partner, Baristas del Caribe, reaffirmed their commitment to continue working together to support the island’s economic recovery. The two companies and their foundations have also collectively contributed more than $1.3 million toward emergency relief and long-term rebuilding efforts across the region. That includes the creation of the “Tacita Verde Fund” to provide emergency financial grants to local Starbucks partners (employees) and their families in need, as well as a Starbucks Foundation grant to match U.S. customer donations via the Starbucks mobile app and funding to World Coffee Research to begin the long-term work of supporting coffee farmers impacted by the hurricane. “Our new store in San Juan, our 25th on the island, is in honor of our Puerto Rican partners and customers, who continue to demonstrate incredible strength and resilience day after day since Hurricane María,” said Michael Conway, executive vice president for Starbucks Licensed Stores business across the Americas. “As we open our doors at UMET, and slowly begin to reopen all other stores across the island, we remain fully committed to our growth plans in the market as we work to create local jobs, serve our customers, and support the region’s coffee producers,” he said. “I am very proud of the heroic ways in which our partners came together to support one another and their community, as well as the leadership, vision and compassion of our trusted business partner, Baristas del Caribe, led by the Fonalledas family in Puerto Rico. This will undoubtedly be a long road to recovery, and Starbucks is here for the long haul,” Conway said. Starbucks intends for the new location at UMET, which is now open to the public, to become a meeting place on campus, while providing job opportunities to local students and contributing to the economy. Another Starbucks store will open in Santa Isabel in early 2018. In the wake of the devastating impacts of Hurricane María in September, Starbucks Puerto Rican partners, like the rest of the citizens on the island, faced a long and difficult road to recovery. Many are still assessing damages to their homes and their communities, a task made much tougher due to the lack of power, limited connectivity, and long lines for necessities like water, ice, gas and food. In response, Baristas del Caribe created the “Tacita Verde Fund” — its first-ever employee assistance fund dedicated to help Starbucks Puerto Rican partners and their families in need. Through an initial contribution of $50,000 from Starbucks Coffee Company, the “Tacita Verde Fund” is helping provide financial grants to partners with critical needs ranging from urgent home repairs to food or medical needs. The Fonalledas Foundation is also supporting the partners with donations. Hey Buddy!, I found this information for you: "Starbucks opens 1st new store in PR since Hurricane María". Here is the website link: https://newsismybusiness.com/starbucks-since-hurricane/. Thank you.